Would you like to know why your home was recently on the market for months, but did not sell? 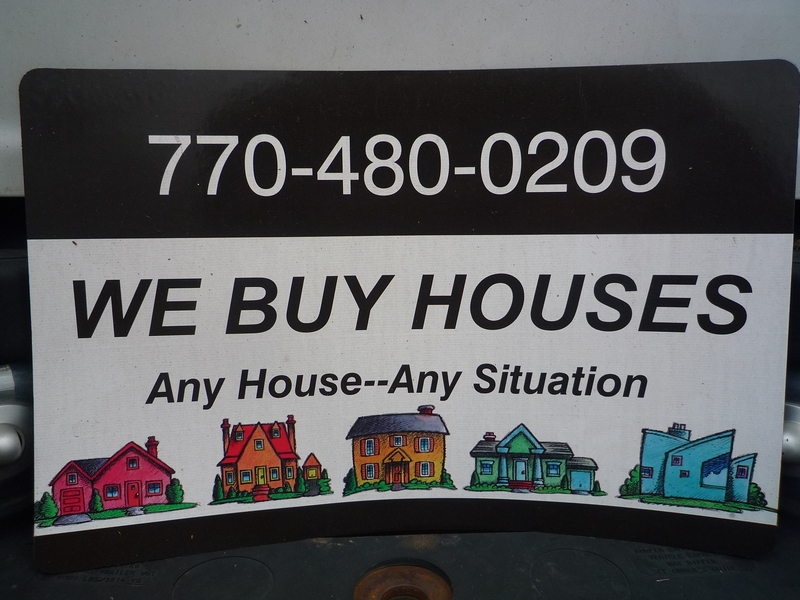 As a full-time real estate house buyer in the Metro Atlanta area, I specialize in buying and then getting houses SOLD that other people and agents using traditional methods and tools can’t seem to move or sell. This is a buyer’s market and if you want to sell your house you need to appeal to home buyers. You also need your house to be in front the most qualified home buyers. You need all the tools including the power of the internet. That is one reason most buyers start their search for a new home on the internet and not in the newspaper or bulletin boards, handbooks, etc.. Are you reading this on the web? We use every tool we can to market your house for sale or we buy the house. Agents many times blame things on the market today. We all know it is a lousy market. Some blame the economy. Some blame the president or the past president and have a list of excuses why the house did not sell. Truth is everyone needs somewhere to sleep and houses are still selling if you know how to get in front of the right people, have prepared well, and use the right methods. We do not charge you any commission to sell a house. How is that for a nontraditional road to success? We really cannot afford to fail so when we buy your house, sell a contract, or show you how to sell your house yourself right now, we expect you to be able to say, “the house is sold” in a very short time frame. This is especially important in today’s market where every penny counts. How much longer do you want to pay the electric bill and cut the grass on a house you no longer need or want? The National Association of Realtors tells us the average real estate agent in the Atlanta area only sells 2-4 homes a year! Certainly not enough money to drive people around showing them houses all day. Some agents are now doing lease purchases. More than 2,000 homes are sold in the Atlanta area every single month, even in the worst or slowest times of the year. Why was your home not one of the 2000? The facts show houses are selling but in many untraditional ways. 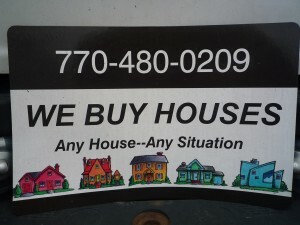 We specialize in getting “the job done”, “the house sold,” and the debt off your back. Whatever you have been doing over the past few months without results can change to the “house sold” plan, but you need a different approach. You need results, not a bunch of reasons the system to sell your house didn’t work. You need the house is sold……..We can help! If you need to sell your home, we need to talk. One fifteen minute conversation can put you on the road to “the house is sold” plan. We only take a contract for 90 to 120 days because it does not usually take any longer to sell the average house our way. We may even buy your house today and shorten the process to 7 days. We will make you an offer to buy your house. This is all free to you with no commission. You have nothing to lose but the headache. Just click and fill out the form below, and we’ll get the process started now.